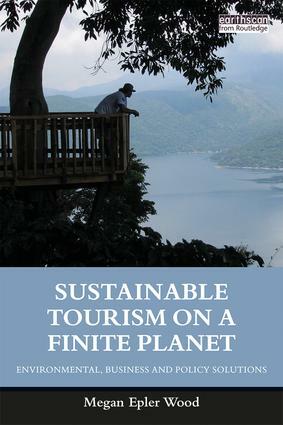 This book helps all those involved in international tourism develop the new skills, tools and investments required to protect irreplaceable global resources from the impacts of escalating tourism demand over the next 50 years. It documents how technology and the growing global middle class are driving a travel revolution which requires a new paradigm in managing tourism destinations. Travel and tourism supply chains and business models for hotels, tour operators, cruise lines, airlines and airports are analysed and environmental management techniques are proposed for each sector. A pragmatic set of solutions are offered to support the transition to lower impact tourism development worldwide. It recommends that decision makers assess the current and future value of natural, social, and cultural capital to guide investment in destinations and protect vital resources. Case studies illustrate why budgets to protect local destinations are consistently underestimated and offer guidance on new metrics. Innovative approaches are proposed to support the transition to green infrastructure, protect incomparable landscapes, and engage local people in the monitoring of vital indicators to protect local resources. It provides students, professionals, and policy makers with far-reaching recommendations for new educational programs, professional expertise, financing, and legal frameworks to lower tourism’s rapidly escalating carbon impacts and protect the health and well-being of local populations, ecosystems, cultures, and monuments worldwide.